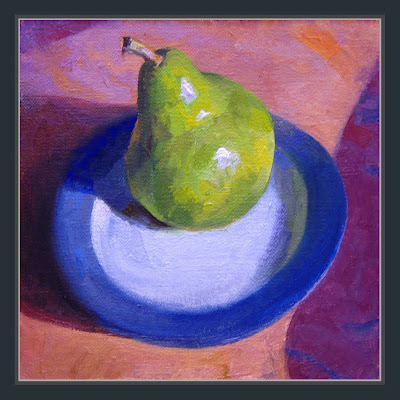 SOLD - Green Pear - I enjoyed manipulating and balancing the shapes in this piece. This is very colorful and nice. I popped over from Carol Marine's blog. You might like to submit this to www.pearathon.com hosted by my friend Regina.